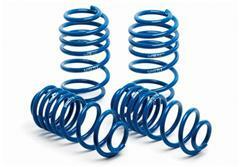 Get the ultimate Mustang lowering springs and suspension components from H&R! H&R provides Mustang enthusiasts with a wide variety of suspension components that include lowering springs, sway bars and wheel spacers. 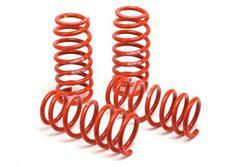 The Mustang H&R Springs are widely known for their amazing handling and aggressive stance. 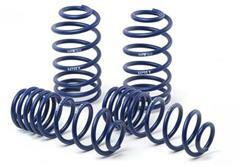 H&R Lowering springs are available in a mild "Sport" version all the way to their aggressive "Race" versions. 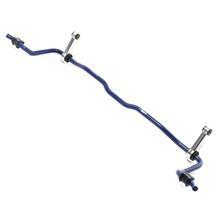 Combine any of the Mustang H&R Springs with a set of H&R sway bars and your Stang will own the track at your next road race or auto-x event! H&R doesn’t just make amazing lowering springs. 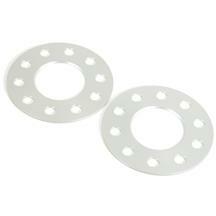 They also produce high quality suspension components such as front and rear sway bars. These sways bars will help you further maximize your Mustangs handling by reducing body roll. 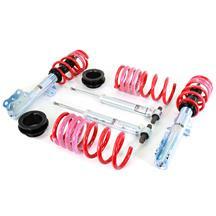 Go own the next race event in your S197 Mustang with the H&R Sway Bars! Shop some of our customer favorite Mustang H&R Springs below. Whether you are shopping for a set of lowering springs for your Fox Body or you are looking to give your New Edge Mustang a killer stance, we have you covered with a complete line of H&R Sport, Super Sport and Race Springs! H&R uses only the highest quality components and cutting edge technology to produce some of the best Mustang Suspension components. 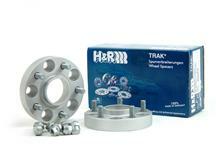 Every H&R component is manufactured in Germany with strict standards that exceed ISO requirements. They produce lowering springs for solid axle and IRS (independent rear suspension) Mustangs, SVT Cobras, Shelby GT500s and Boss 302s. Combine any of the Mustang H&R Spring with their sway bars and your Stang will be ready to take on road course or back road!